Were Warwickshire Police right to punish driver in Leamington funeral procession? A mourner has accused Warwickshire Police of showing disrespect after he was punished for running a red traffic light while he was driving as part of the procession at a funeral in Leamington. Alan Porter, 55, from London, was the driver of the ninth car in the procession for the funeral of Leamington’s longest serving postman Mick Griffin in July. Mr Porter, who had Mr Griffin’s 97-year-old mother-in-law Mary in the car with him, was desperate to be able to follow the slow-moving precession as he did not know the way to Mary Magdalene’s church in Lillington where the service took place. But when the leading cars - which had set off from Mr Griffin’s home in Edinburgh Crescent - drove across the cross roads at the end of Tachbrook Road going into Lower Avenue near Leamington Railway Station, he was caught by the camera having jumped the red light. He said he was surprised to receive a letter from Warwickshire Police telling him that he would either have to have three penalty points added to his driving licence or attend a safety course which would cost him £89. Mr Porter said: “I have had a clean driving licence for over 40 years with no penalty points. “Onlookers and vehicle drivers paid their respects by stopping and we followed the procession through a red traffic light. Mr Porter appealed the punishment by writing a letter to the police and explaining the circumstances. But the appeal was rejected and Mr Porter was given the option to either attend the course or to take his appeal to magistrate’s court at the risk of facing legal costs and more severe punishment. 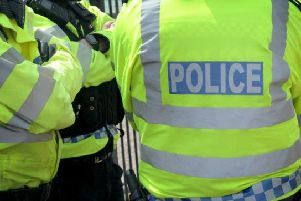 The police told Mr Porter that they are seeking to educate and not prosecute drivers who have committed a road traffic offence and are considered to be eligible for a course. It was emphasised to him that not all drivers who offend are offered the same opportunity and that the course would be beneficial to him. Gary Hollis, safer roads manager for Warwickshire Police, said: “We understand that this is a very emotive issue and we do have sympathy for the circumstances that led to Mr Porter contravening the traffic signal.